Please describe your integration scenario and our product specialist will reach out to you as soon as possible. Which integration service(s) are you interested in? Whatever your integration scenario, from custom integration to deployment, our team is ready to help. Our RSSBus Connect Professional Services Team is an experienced and proven team that has helped many organizations achieve their integration goals. Our experience will help you achieve your program goals efficiently and will reduce execution risk when integrating our platform into your environment. We offer various consultancy packages designed to augment your internal capabilities. We realize that no two solutions are exactly alike and we start out with generic templates that are later tailored exactly to your needs. Provides a complete production-ready integration package that will configure all of your transformations. Our highly skilled and world class team can help you deliver a turnkey solution that meets your requirements and forms a cornerstone of your digital business. Whether it is a skill gap, lack of capacity to meet integration efforts or simple one-off projects, we can help. Our engineers will use our large repository of connectors to pre-configure document mappings so you can connect any source that uses any document type. We can define a data flow to your back-end system converting your trading partner's data to X12, EDIFACT, and any other format you need. 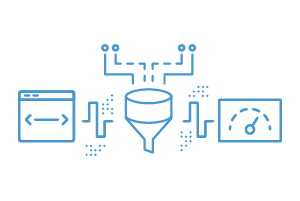 Our RSSBus Connect platform is architecturally flexible and will become part of your Data Architecture. Enabling any to any with appropriate security and management controls, data can be easily shared from QuickBooks to your CRM or from SalesForce to NetSuite as examples. 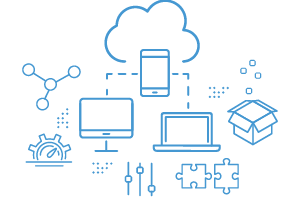 Sharing or ingesting data from nearly any source to applications is a core capability for RSSBus Connect. Businesses are moving to cloud based applications and data services to increase their business agility and to reduce the need to have technical expertise in very complex technologies. 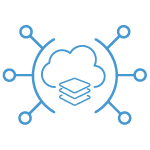 If you are running a cloud based business, or are migrating your data and applications to the cloud, we can help your business stay connected through managed cloud deployment. 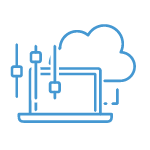 Our engineers will setup, and optionally manage and maintain, RSSBus Connect on your cloud hosting environment of choice. Leverage the same powerful data messaging and connected process integration across your business, with zero IT footprint. We can setup a pilot for your data integration requirements, and if RSSBus meets your needs we are happy to assist you with additional integrations. Don't see a port in the application? We can build one for you if you sponsor its development to be added to the application. 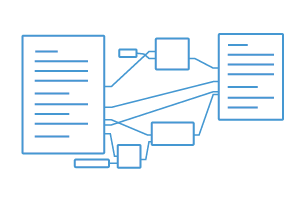 Whatever architecture you have, we can find a way to get it from your system or database into our application. If there are specific features you don't find available in RSSBus Connect 2018, our engineering team can provide special modifications for your current architecture. Some of our past projects include assisting customers with performance optimizations of their servers so they can handle larger thru-puts of data via load balancing. The solution works perfectly! It is a great relief to know that I don't need to worry about whether my EMA Submissions are being properly and securely handled. Not only is this a great product, but the support is fantastic. In our ERP space, other solutions lack the adaptability and flexibility to address non-standard deployments in industries that lack EDI maturity. It is here that the adapter-centric architecture of RSSBus closely fits in with our Integration Services architecture. RSSBus Connect has provided us with a cost efficient, easy to administer, scalable solution. It is easy-to-use, easy to install and doesn't break the bank. We would absolutely recommend this product to companies big and small. Brad Dayhuff - Vice President / Co-Owner, Xebec. 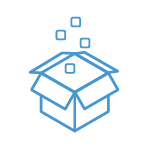 Want to learn more about our integration servcies? Let our expert engineering team help you simplify your integration today. Contact us below, and let's talk.